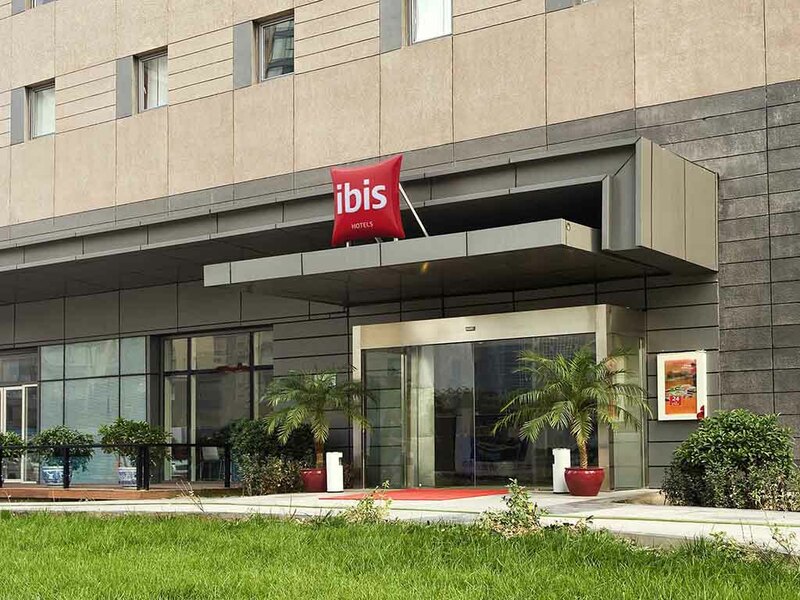 Ibis Beijing Sanyuan offers comfort & functionality for an affordable rate. Our restaurant with terrace serves 24-hour snack service and our free WIFI Internet will allow you to be in permanent contact with your friends & colleagues. Located in the centre of the business district, the hotel is only minutes from the airport, Embassies, shopping & sites of interest. Featuring 397 queen or twin rooms, the hotel will satisfy your needs. This time, nearly all IBIS team was able to understand English. Bravo! Easy communication is essential for comfort feeling in such country like China. I have been in this hotel several times and each time I am better understood. This is Beijing in 2017 and no internet in the room! The room needed to be painted and was in need of cleaning. I would not stay there again. If you don't need internet and don't mind a very used (rundown) atmosphere then this is your choice. Rooms are fine but there is continuous smell of non veg in reception, lift which leads to headache. My veg eating friend Had terrible time. For non veg eaters this should be fine. Hotel should also accept US dollars for payment. Staff have little to no english. Constantly having to ask for tea, toilet paper, water which should be restocked. Two bottles of water for a room booked for three. No coffee supplied. Buffett breakfast for asians not westerns, very creasy food and service terrible. Only positive close to subway. I have stayed at a few ibis and this was disappointing. Good ambience! good store (Lawson) also there for groceries. food available good with cheap cost. Best in room. Good bathrooms nice beds and Television was good. TV reception was good. Otherwise, free wifi. I thought the room did not meet Ibis standards when compared to all other Ibis that I have already stayed before. The room is very small, the walls were very dirty and the bathroom looked like a train cabin toilet. The only pluses for me were: 1) the location (very close to a subway station which also has an express train to the airport), 2) next to a good shopping center 3) the staff did speak English (different from other reviews that said they didn't 4) the price. So if you are looking for a cheap hotel (like 2 stars), and don't bother the smelly, kind of dirty and small room, this might be a good option. I have been staying in Ibis Sanyuan in numerous occasions for the reason of great convenience. With a newly opened sundry store at the hotel lobby giving me additional reason for my top choice within budget. However, the wear and tear are obvious these days such as mattress, toilet flushing, floor carpet and slight odor within the floors. Wifi, broadband network very poor. Wash room facilities should be improved. Room was clean. Service was good but staff did not communicate in English properly. The wall is a bit dirty. The towel smells old. Limitted choices for breakfast. Suggestion, The front desk offifer(s) must at least know the basic English. Ok. But the facilities was very old, the towel was dirty. It was ok, i need just a place to sleep in the evening while i was doing something during the day. Hotel was as expected. Simple, but including what is needed. everything is acceptable except air-condition is noisy and Wi-Fi is slow and web browser is still using old system.